Super product. And self sticking which is a real plus! Won't use them until I get to Florida. I like the simplicity of them. 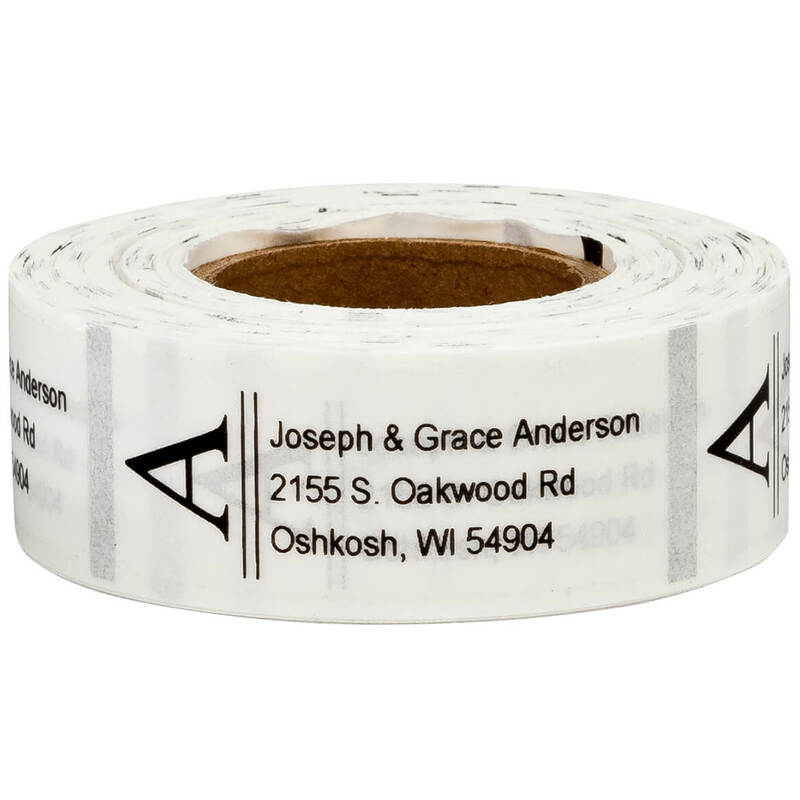 I want labels that have my husband and my name on them. New address and needed some new labels. Liked the different design choices being offered. Great for my husband . This design is just what he liked for his every day use. Thank you. Liked style and free shipping! Needed to make labels for sunglasses party favor. Searched dozens of sights. I absolutely love the placement of the large vertical initial for the last name! It's eye catching and the script is very classy! I have ordered this label before and I really like its look. I have been very happy using it and I like the roll inside the box. 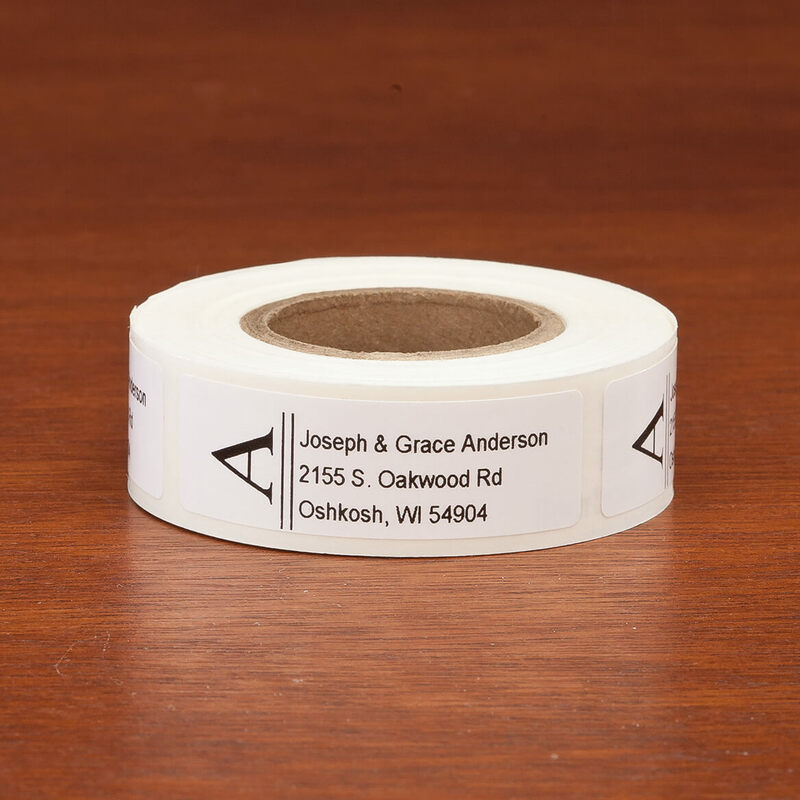 I have ordered labels from Walter Drake for the last 15 years. 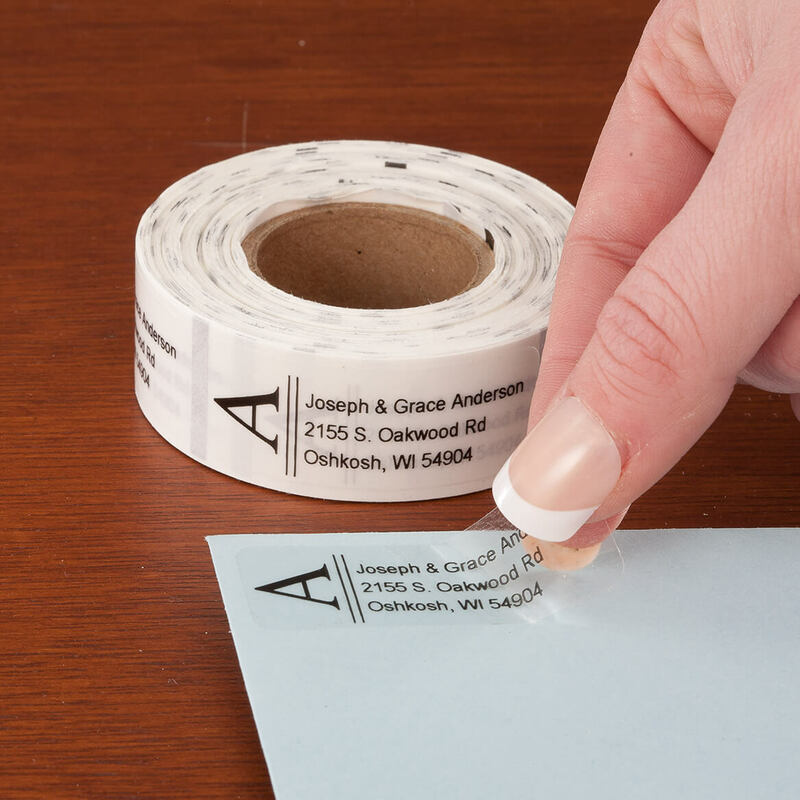 Nice, clean, professional looking label that is handy and easy to use. Frugal person? Do this, it will last longer and looks professional! They were clear and simple. I liked the style - tasteful and elegant - and wanted to order so I have these during the year and for 2016 Christmas cards. Just liked the way they looked.. Purchased these address labels to use on our wedding "Save the Date" postcards. I have always used Walter Drake for my address labels. I chose this label to mail Holiday cards from my husband and I.
I liked the look of the labels. i liked the design of this address labels. This site came up first on google search, and I liked the style and clear options. It is universal, I can place it as a return/ return too for a birthday, anniversary, baby shower, or a get well card. These address labels looked very eloquent and I needed new labels because I was moving. I love clear labels. I think they are more professional looking than the paper ones. Like the product appeal --- new look, cool design. Do the labels come in a storage box? BEST ANSWER: Thank you for your question. Unfortunately this item does not come with a storage box. We hope this information will be of help to you. Yes Its very convenient. Works great. Love this product. Saves time. Will reorder soon. sheet of 8 blank labels with return address at top? Can this label be used to put on small bottles.or do you have labels this size that I can add to small jars? BEST ANSWER: Thank you for your question. Yes you may use these labels for small bottles. We hope this information will be of help to you.